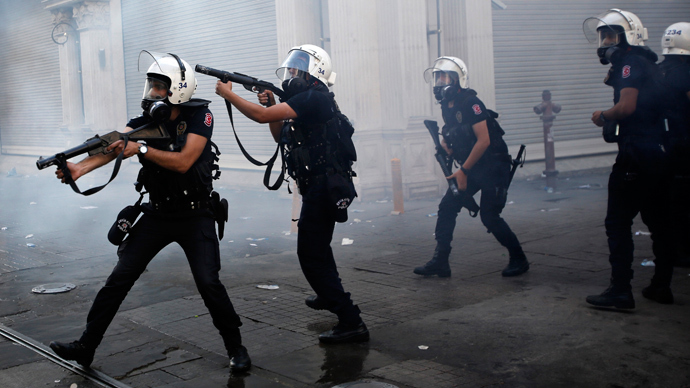 One year on from the Gezi Park protests, the government’s approach to demonstrations is as abusive as ever while impunity for police violence is rampant, Amnesty International said in a report published today. “The Turkish authorities have been relentless in their crackdown on protesters – be it police violence on the streets or by prosecuting them through the courts. Meanwhile the police enjoy near total impunity. The message is clear: peaceful demonstrations will not be tolerated,” said Salil Shetty, Secretary General of Amnesty International. Amnesty International’s report, Adding injustice to injury: Gezi Park protests one year on, examines developments following the small protest against the destruction of the park in central Istanbul which spiralled into nationwide anti-government demonstrations. It calls on the Turkish authorities to end impunity for human rights abuses by law enforcement officials and to guarantee the right to peaceful assembly. The full report can be downloaded on Amnesty International.